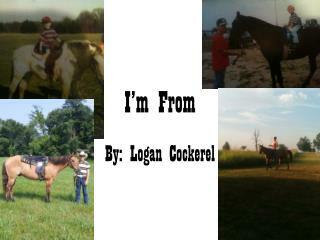 I’m From. By: Logan Cockerel. 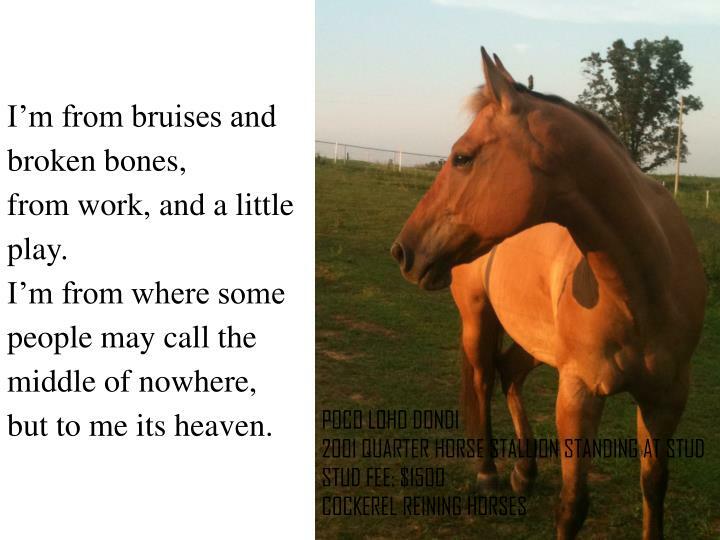 I am from scuffed up boots and rattling spurs, hours in the saddle, hard work. Knowing each and every day that you have earned everything you have in life and to appreciate it. 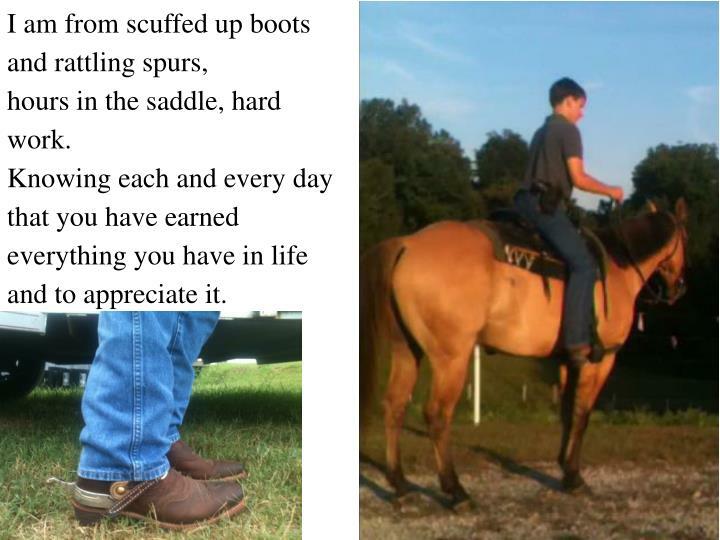 I am from scuffed up boots and rattling spurs,hours in the saddle, hard work.Knowing each and every day that you have earned everything you have in life and to appreciate it. 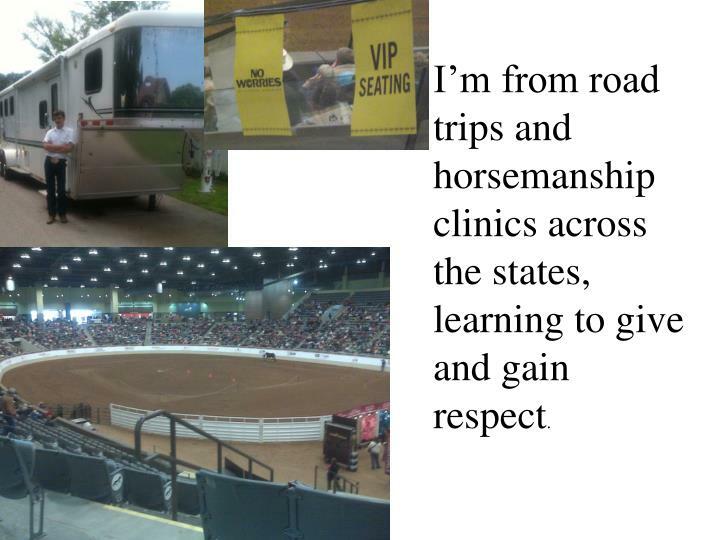 I’m from road trips and horsemanship clinics across the states,learning to give and gain respect. 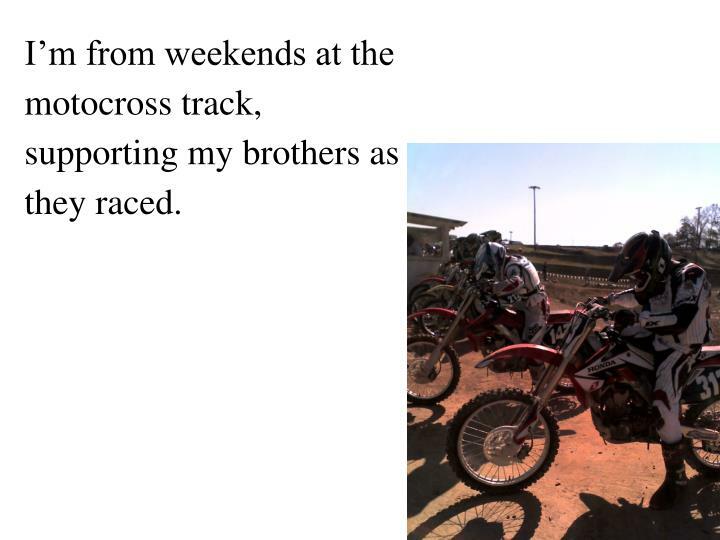 I’m from weekends at the motocross track,supporting my brothers as they raced. 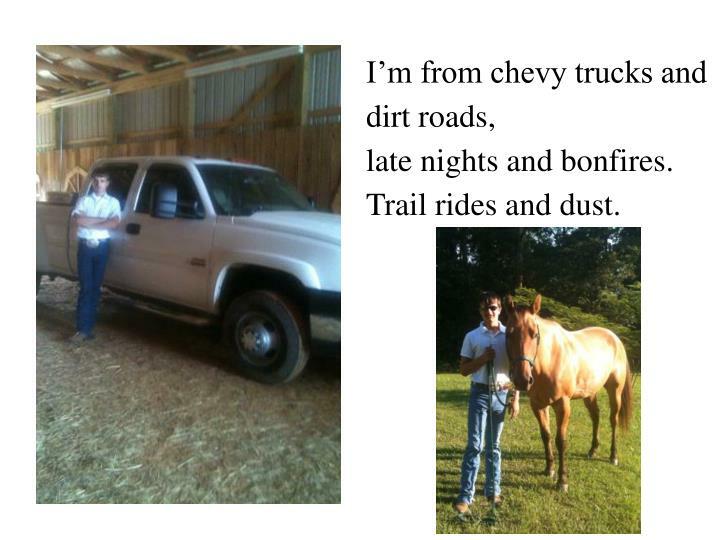 I’m from chevy trucks and dirt roads,late nights and bonfires.Trail rides and dust. I’m from bruises and broken bones,from work, and a little play.I’m from where some people may call the middle of nowhere,but to me its heaven.